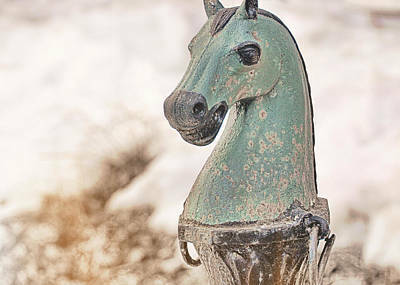 Before cars ruled the road, streets were set up for travel by horseback. 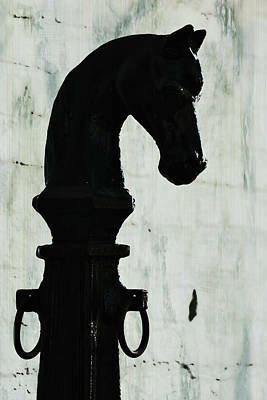 And with high fuel prices, they could be again! 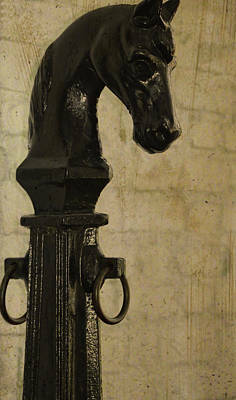 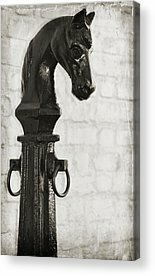 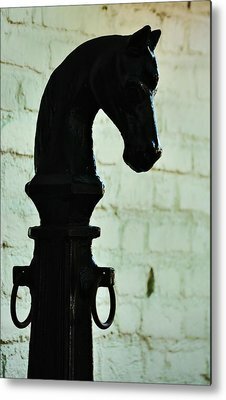 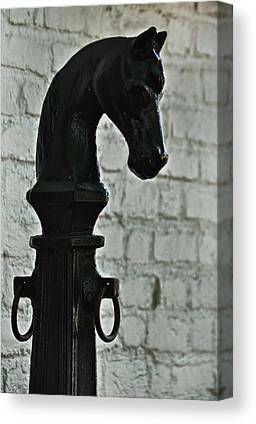 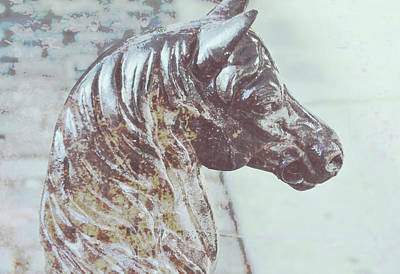 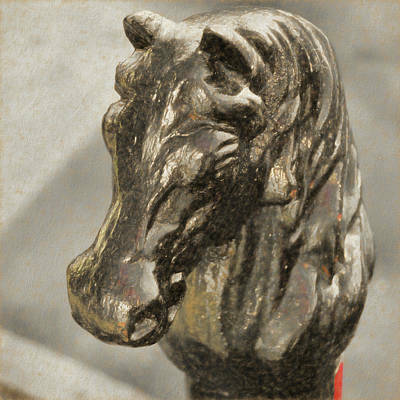 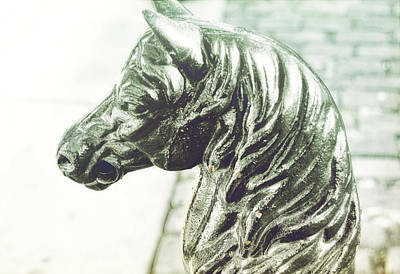 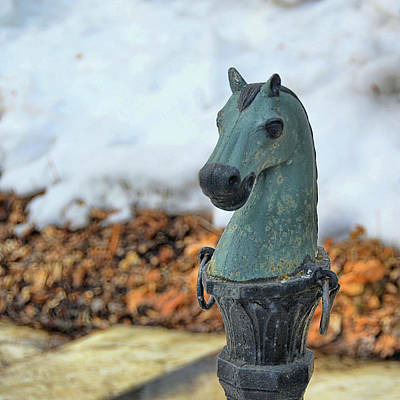 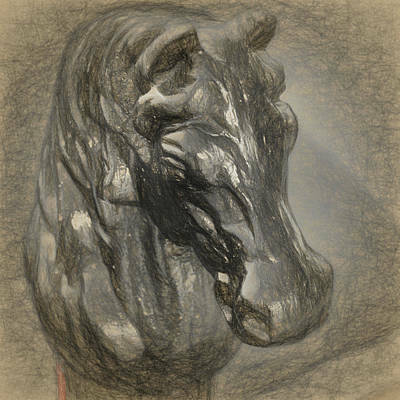 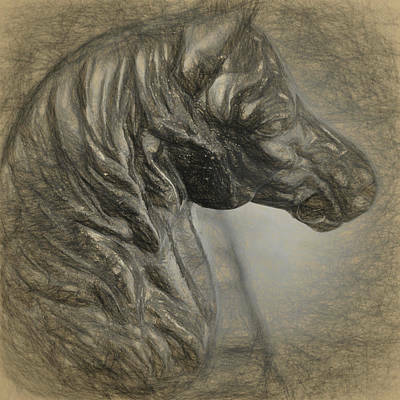 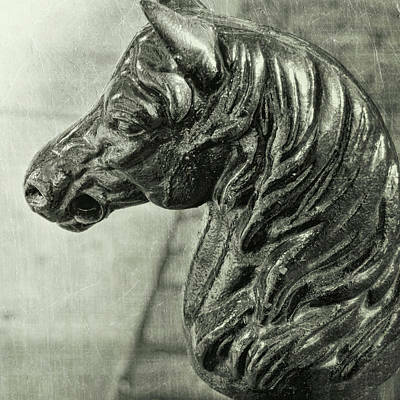 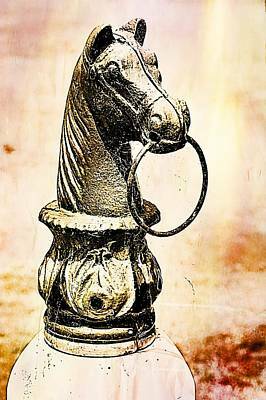 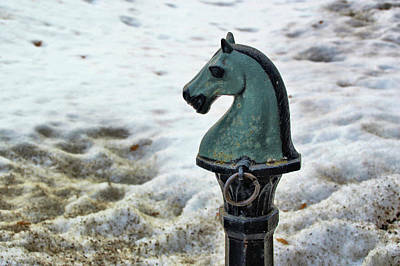 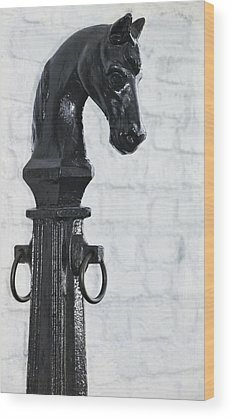 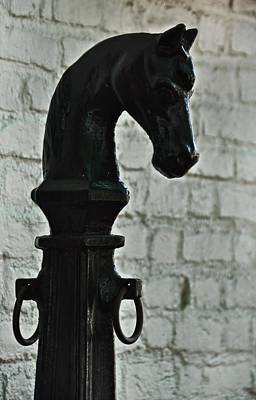 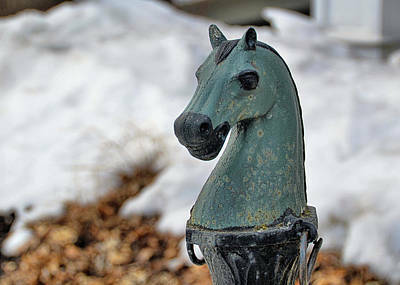 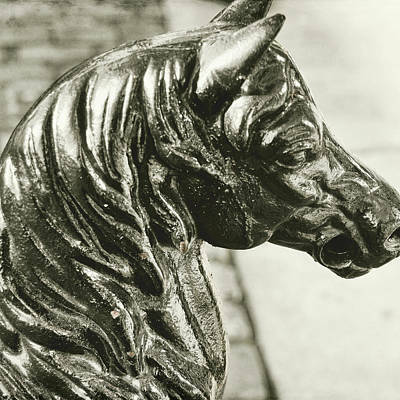 Now you can be prepared with a quaint horsehead hitching post at your entrance or patio. 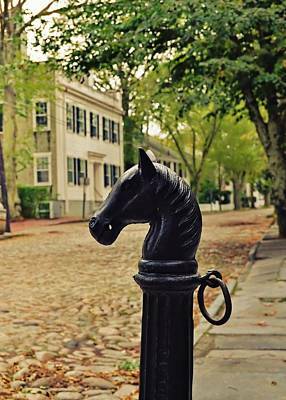 Millions of these ornate posts were originally manufactured of cast iron in the 1800's and embedded into concrete right next to streets for actual use for tying up horses. 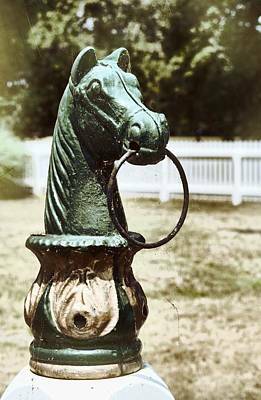 After cars took over and horses disappeared from the road, streetside horse hitching posts became a traffic hazard. 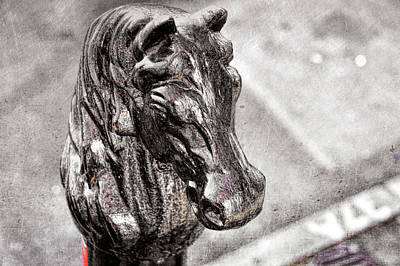 Those hitches not run over were moved away from the street and back near home and business entrances or to the patio where they became unique decorative ornaments. 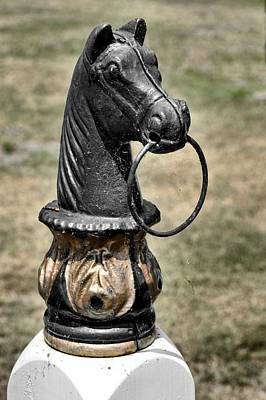 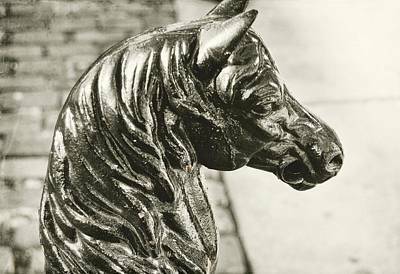 Hitching posts were still very popular through the 1950's and sold mainly through mail order catalogs alongside lawn jockeys and other ironwork. 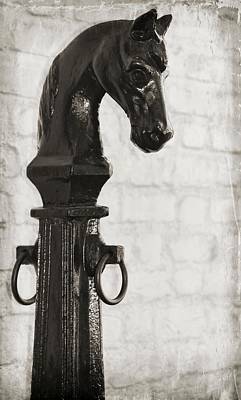 Almost all horse hitches were originally painted black, but some were painted with different colors or two-tone to match the surrounding decor.